My wife and I own an Adult Family Home where a team of caregivers provides for several elderly residents who are too fragile to safely care for themselves. Sometimes around the breakfast table they take turns entertaining us with stories of their childhood. It is fascinating. It is so indescribably rewarding. Well one day I took my own turn at speechifying my past. My history doesn’t stretch as far back as theirs of course, but I can supply a colorful narrative or two about the 1960’s. A big part of this story is about Petey and I want to tell you what Petey did. But first I need to give you a little background, to set the stage so to speak. 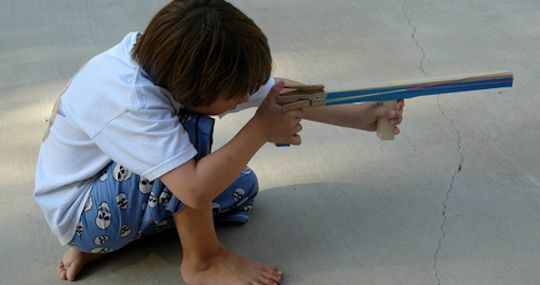 When I was a kid, a couple of summers were spent fighting in the rubber band war. You take a stick and use rubber bands to attach a clothes pin to one end. Then you stretch a rubber band from the other tip of the stick down to where it can be held taught by the pin. Aim, press open the pin, and snap! Like a black powder musket the weapon is short ranged, inaccurate, and slow loading. 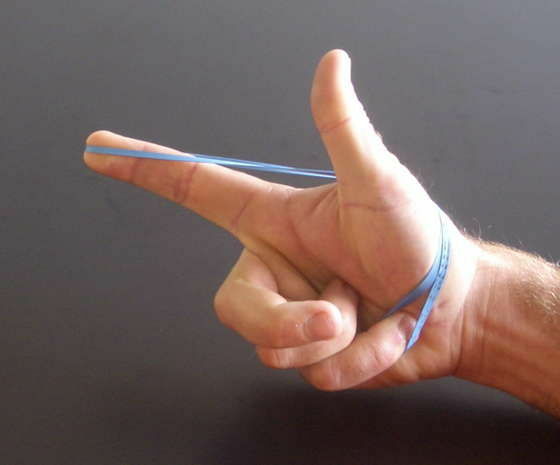 A pistol-sized device shoots single rubber bands but by looping several rubber bands together you can make as long of a musket as you care to shoulder, but you have to prepare your multi-band ammunition in advance from limited resources. The primary source for rubber bands was the paper boys. In those days a van arrived on a street corner every morning at 4:00 AM and a guy literally threw bundles of newspapers out the back. Boys with bikes sequestered their bundles and quickly began rolling each paper up and expertly double-looping a rubber band around the waist. The delivery guy in the van had bags of rubber bands for sale, cheap. The paper boys were the arms dealers of the rubber band war. Other types of rubber bands were found and used, but the newspaper band was the staple ordinance in our arsenal. Anybody could join the war under whatever flag could be imagined and fabricated. There were flags and factions aplenty. Most combatants were organized into squadrons of 4 or 5 troops. An army of 10 was formidable. Alliances were formed but were quite ephemeral. There were lone wolves, often working multiple sides, and they would sell information concerning an adversary’s plans for a pocketful of rubber bands. As a veteran of the rubber band war I recall that a fair amount of our time was spent in a war room, strategizing. I use the term “strategy” loosely because in spite of all the energy spent planning, our only real goal was to venture out, engage an enemy, pepper them with rubber bands, retreat, repeat. Occasionally in the chaos an individual would be surrounded and apprehended, and for the next 30 minutes or so, interrogated. First they would be softened up by being forced to recite their phone number over and over. Next the captive had to reveal details about their compatriots, the school grade of their captain, their upcoming plans, who supplied them with rubber bands and so forth. Torture tactics included farting in the face, spitting in the hair, and in some of the more difficult cases, snapping their shins with rubber bands. I don’t recall anyone being kept past dinner time which was when a general unofficial armistice descended on the neighborhood. Now then. Perhaps the best thing about war is elaborating the stories of your heroics in the aftermath of battles. “Lord how we made them run.” And to do this with dignity requires the comfort and security of a proper fort. As any commander in history would confess, a fixed fortification has certain disadvantages. Whether we are talking about playing chess, or nuclear submarines, certain elements are common to all forms of conflict and two of the key elements are scope and mobility. A fixed defense has a fixed field of view and it is definitely not mobile. 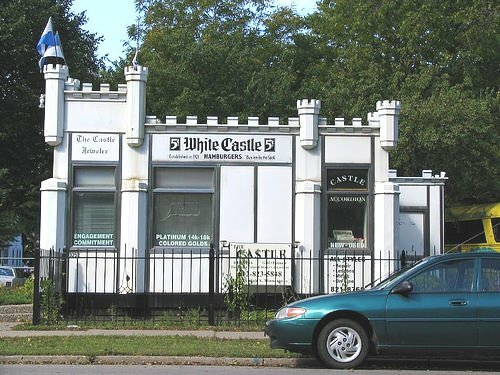 A castle can’t give chase or run away. Meanwhile, the better armies are the ones better at maneuvering on the field like Napoleon did. It’s the same in rubber band world. The construction and defense of a fort was a matter of great pride to us but only the larger squads could pull it off in style. Most of the forts, an abandoned car or a discarded pigeon coop, changed hands and flags repeatedly in the ebb and flow of the war. 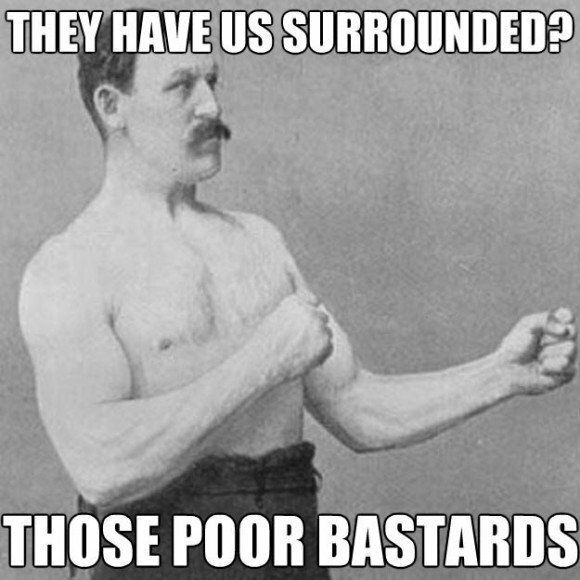 But alas, there was one way a small squad could have a stable, elaborate, defensible retreat. The apple box fort. 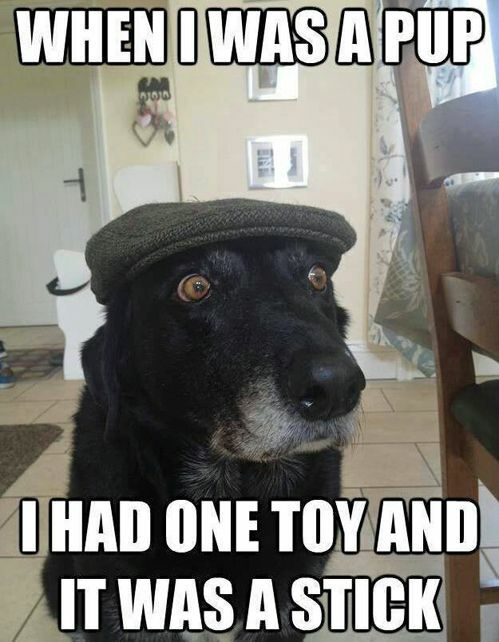 It was a more primitive time. Shampoo came in glass bottles that shattered if you dropped them in the shower. Left-handed children were smacked with rulers for using their left hand. And phones, well okay back to the boxes. 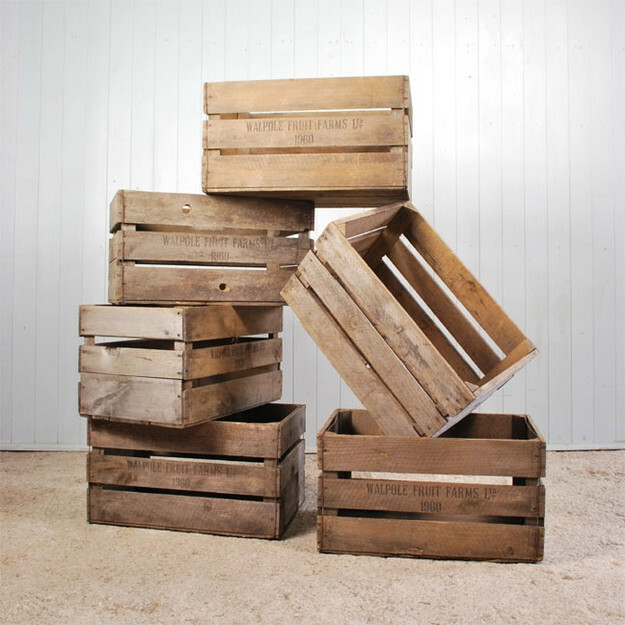 Apples use to be moved in boxes made of wood, sometimes called crates. The growers delivered them empty to locations about the orchards where acres of undocumented Mexicans descended from ladders and filled them with fruit. 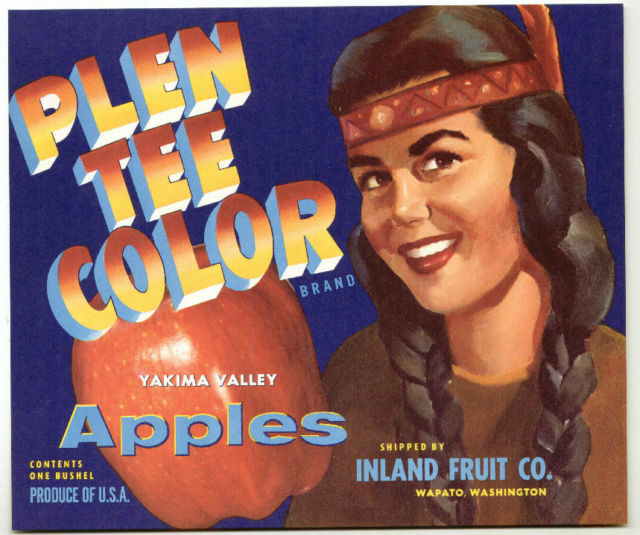 In eastern Washington, apples are called fruit. Other fruit is also called fruit sometimes but it’s mostly a term that refers to apples, all kinds of apples. Each wooden box held one bushel, which works out to about 40 pounds. 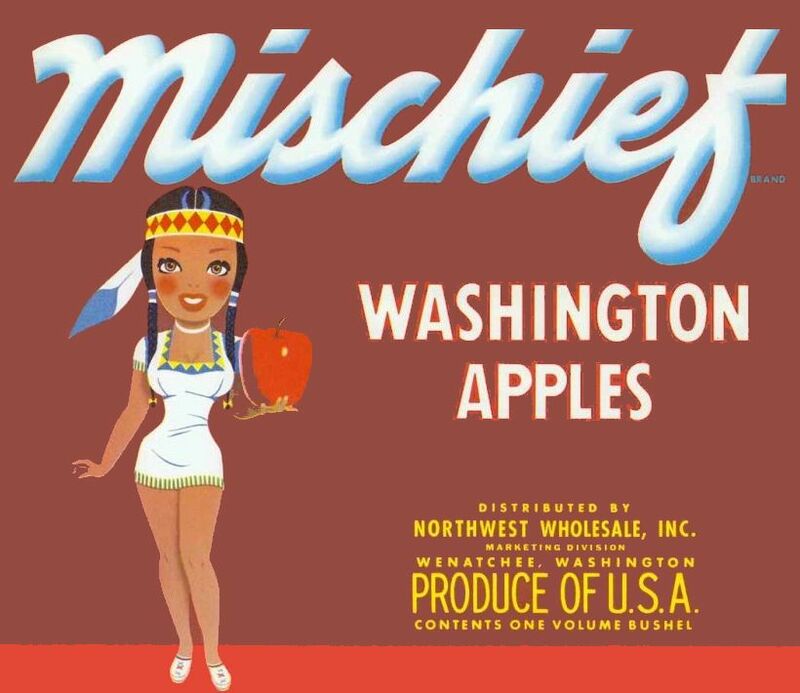 Each box had decorative labels on it representing a fruit company, such as Snokist or Superfresh. 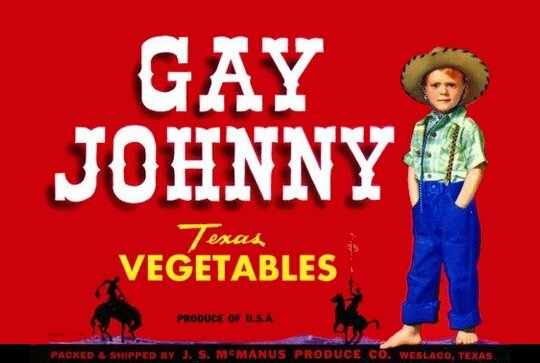 A few labels were openly racist or otherwise inappropriate. I’ll resist posting the worst of them. Most labels represented the growers and some represented brokers or co-ops of warehouses and packing sheds where growers large and small brought their fruit to be sorted and marketed. 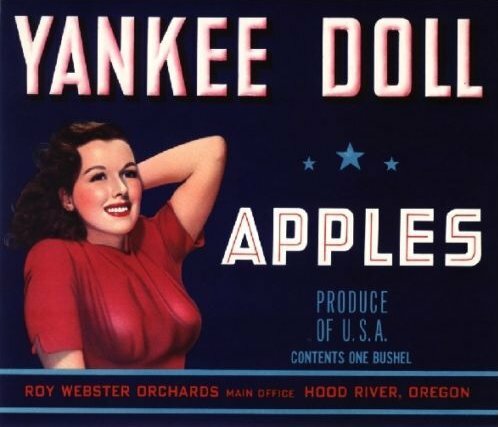 In the Yakima Valley of my youth, that added up to about one million wooden apple boxes. They are considered collectible today and I still have a few that have survived decades of service as bookshelves and end tables. Back in the day, fruit-filled wooden boxes arrived to the brokers on flatbed trucks of all sizes, or on trailers pulled by orchard tractors. In the loading area men converged on the fruit and off-loaded it to long rollers no wider than the boxes. From there the boxes were shoved by hand along the rollers through a small window in the packing shed. Other guys were inside stacking the boxes in lots according to grower and apple variety. When the boss isn’t around keeping an eye on them, some of the workers seek out a piece of softer riper fruit to hurl against the side of the warehouse, producing a satisfying explosion. On any given day a particular variety was put back on rollers and pushed through another window where the women took over. The women sorted the fruit by size and culled them according to quality. The worst fruit was set aside and sent to the juicers. The pretty ones were sized according to how many fit in a bushel. An example of a big apple is a “36” meaning that 36 of those apples fit in the box. 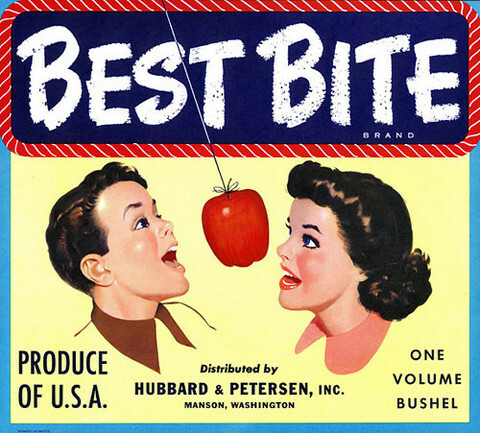 An example of a small apple is an “88” or “100.” Other women packed the fruit, bulk for wholesale or wrapped up fancy for pricey retail in gift shops. Either way it involves putting the fruit back in boxes. Then it’s back to the men for shipping, some in trucks, but in large part they were loaded into graffiti-laden railroad cars. So what becomes of the boxes? This story is about boxes, more specifically, box forts. The empty boxes had to be returned, and cleaned, and then stored during the off-season. Because so much of the transport involved trains, most boxes wound up stored right next to the main line of tracks. Yakima was divided roughly in half by several sets of railroad tracks running side by side straight through the town. Like many towns, the tracks also served to divide the neighborhoods into rich and poor, which to a great degree meant white vs black. And there between the social classes, all summer long, awaiting the next harvest, lay apple box row. A million apple boxes stacked neatly occupies a series of city blocks that stretches for the better part of half a mile. First the boxes are combined such that one fits upside down on top of another, so that a third box can be sideways inside of the first two. Then the triplets are arranged like overlapping bricks so they can be stacked several meters high. I was a child so the size is probably exaggerated in my mind, but it seems like these stacks were the size of houses, with alleyways in between. The apple box men worked in shifts and the team nearest my house hung out in a small smelly break room with a smelly refrigerator, smelly bathroom, and filthy coffee pot. There was a calendar hanging on the wall which was clean, but not safe for work by today’s standards. The bulk of apple box row was unguarded. Did these men know nothing of the war? Did they know nothing of grand tactics? They had no patrols, no binoculars, no dogs, nothing. Here is how the architecture of apple box row worked in our favor. The 3-box fundamental brick of the wall was loose in its compactness. One could usually tighten the fit with a few slaps of the hand. So you tighten one set to the left, then tighten the adjacent set to the right, and create a little crawl space in between. Squeeze in, do it again, and then again, until you have a narrow corridor leading into the middle of the block. Turn around, slap slap close the gap, and you are now hidden inside a massive tower of boxes the size of a small house. You were thinking we just stole a few boxes and stacked them in a circle. No no. This is where the fun begins. You make corridors throughout the edifice. To make it roomy, you destroy a few boxes. They are just thin boards nailed together. A few karate kicks reduces them to a stack that can be shoved into a corridor. If done correctly the integrity of the block as a whole will easily survive your engineering. Then you make stairs and levels. The result is a first class hide out. 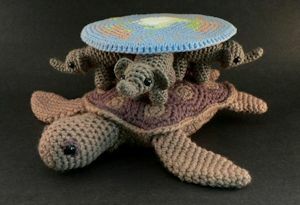 Finally you smuggle in small rugs and stools and flashlights, whatever, then food and magazines and other supplies. Secrecy was critical. No chivalric order, no Masonic Lodge, probably not even the Knights Templar had a more elaborate system of pledges, codes of honor, handshakes, knocks and passwords, than the apple box forts. Now you have the back-story. I’ll tell you about Petey. He was too young to fight in the war but his brother was an apple box lieutenant, a position of considerable authority. Petey was small enough to fit through lesser gaps between boxes which made him a good scout, and he also served as sentinel during critical strategy sessions. When captured he would just bawl until they let him go. One day Petey showed up at the fort while the squad was out on a mission. By then the fort had been thoroughly and beautifully furnished including a small camp stove. Petey found the matches and attempted to light the stove. As you’ve probably guessed already, he suddenly found himself igniting what was essentially a mountain of kindling, perfectly arranged for an inferno with chimney-like stairwells and an ample flow of oxygen. Petey quickly made his exit but to his credit he didn’t completely flee the scene. He knew this situation couldn’t be ignored and he took it upon himself to correct the problem. He ran to the break room where the apple box men were gathered around a table eating their brown bag lunches and drinking coffee. Petey asked for some water. One of the kind gentlemen rinsed out a mug and filled it from the tap, and handed it to the tyke. The worker expected the little guy to gulp it down but instead Petey turned around and headed for the boxes, apparently with hopes of extinguishing his mistake. For a while the worker followed behind with polite curiosity, until he saw the smoke. The fire department arrived and did their thing and needless to say, security on apple box row was subsequently enhanced. The investigation into the fire went nowhere because everyone denied involvement, and Petey just bawled until they let him go. Meanwhile we learned our first lesson concerning fixed defense. We resorted to using a fort made from several cardboard refrigerator boxes that could be unlimbered ad hoc in the field, and quickly transported when we needed to strike camp and bug out. I have other stories about the war but this one fulfilled my purpose of entertaining our residents who are old enough to appreciate the age of wooden boxes and some even remember when horse-drawn carts brought them in from the orchards. The group seemed satisfied with my telling so I conceded the floor to the next teller, an octogenarian woman who grew up on the Balkan Peninsula and most recently migrated from Croatia. She cleared her throat and concisely delivered the sum total of her childhood story in only six words.